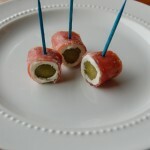 A fun appetizer to make with your children. Spread each salami slice with a thin layer of cream cheese to within 1/4 inch of the edges. 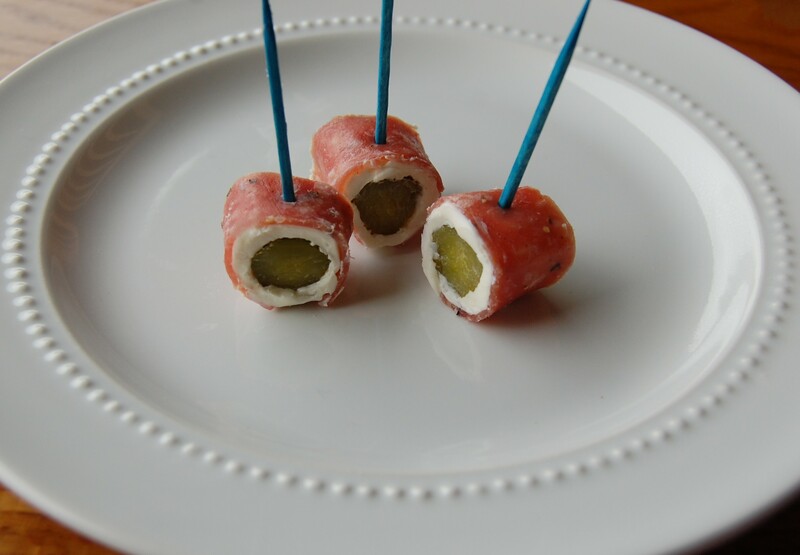 Place a gherkin pickle or two in the center of a salami slice. Roll up each salami slice, jelly-roll style. Cut each roll into thirds, pierce each third with a toothpick, and arrange on a serving platter.